In spirit of the change of season (Cape Town seriously needs to stop this winter weather now!) 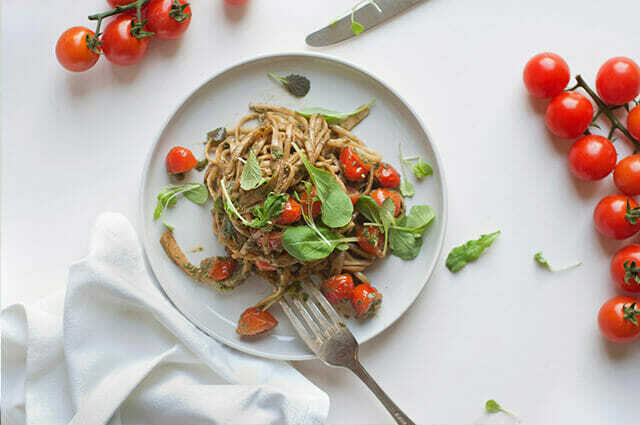 we put together this super yummy pasta al fresco recipe for you to enjoy! Any sign of clear skies and you’re good to go with this one – it’s even better with a cold glass of white wine (duh). While the pasta is boiling away, put the cherry tomatoes, torn basil, olive oil, garlic, salt and pepper in a large bowl, stirring to coat the ingredients in the oil. Set aside. (this can be done a few hours in advance – it really brings out the flavours if you do!). Once the pasta is cooked, drain off the excess water, add the warm pasta to the tomato mixture and stir through. Grate a generous amount of Parmesan over before serving.